My one year old daughter picked up a typical plastic supermarket grocery bag and I watched her with it briefly before taking it away, as it's common knowledge that kids aren't supposed to have plastic bags due to a risk of suffocation. After actually seeing a child with a bag, however, I wondered how much of a risk this actually is. I had a very hard time imagining my daughter being able to get her head inside of the bag to such a degree that she would actually suffocate. I'm [hopefully obviously] not advocating for any controlled experiments here! I just wondered where this common, ingrained warning comes from. 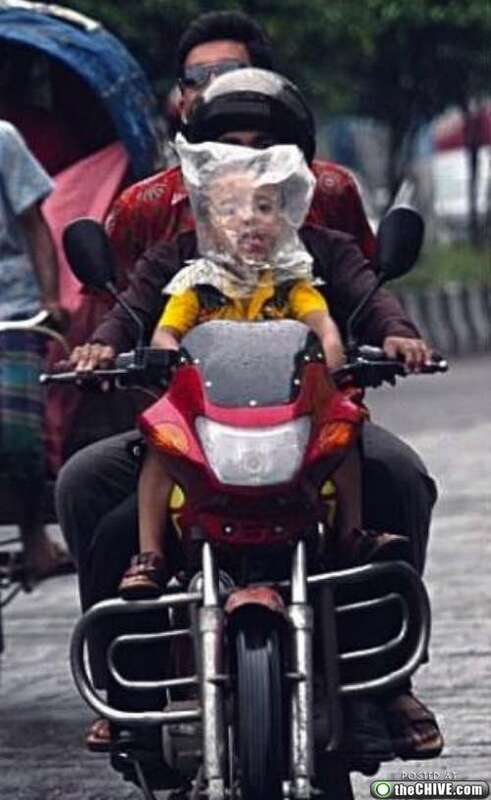 How real of a danger is it when children play with plastic bags? The U.S. Consumer Product Safety Commission (CPSC) has received an average of about 25 reports a year describing deaths to children who suffocated due to plastic bags. Almost 90 percent of them were under one year of age. About 4 million children are born each year in the USA, with an infant mortality rate of 6.06/1000 live births. That's about 25000 dead infants each year, so about 0.1% of US infant mortality is due to suffocation in plastic bags. It's not a big number, obviously, but it's there (note: it may be higher if there are incidents which aren't reported to the CPSC). An older paper, Polson & Gee (1972) gives a number of case studies. Not only is it a real danger, but it is now common knowledge because the printed warning notices on plastic bags do actually work. Source: Death rates per million children decreased significantly following California statute requiring all plastic bags with thickness less than 0.001 inch to have printed warning on bag. Ken Jennings did some research on this for his book, Because I Said So! : The Truth Behind the Myths, Tales, and Warnings Every Generation Passes Down to Its Kids. The figure above about 25 deaths per year is correct, but it does omit the fact that almost all of the deaths involved dry cleaning or trash bags where the child crawled in. Today, the U.S. Consumer Product Safety Commission reports that plastic bags still kill about twenty-five American kids per year, almost 90 percent of whom are infants. The typical encounter a larger trash bag or dry-cleaning bag, which an infant crawls or falls into, or pulls over their face .... please note that garden-variety shopping bags, the kind you're most likely to have around, are generally blameless, and older kids are safe around bags no matter what. Admittedly, he doesn't provide sources or statistics for how he got the "typical encounter", but in other parts of the book, such as "poisoned Halloween candy" or "running with scissors", he breaks down his examples by showing that he did diligent research and looked at the individual cases, so I'm apt to believe that the details here were covered as well. It's probably worth noting that a substantial amount of his book is dedicated to the idea that many of these behaviors are indeed potentially hazardous, but that the risk has been so exaggerated that people are spending needless time worrying about something that isn't likely to happen when they could be spending that time protecting against plausible dangers. Not the answer you're looking for? Browse other questions tagged mortality children suffocation . Do lullabies help children fall asleep?